If I Ran...Mitsubishi Motors - Armchair Consulting From An Enthusiast Who Cares. — Roving. Mitsubishi Motors has sold some memorable cars in North America, but now it has been saddled with boring, irrelevant cars that nobody really wants. With a healthy dose of self-awareness, a watchful eye on macro-trends in the market, and a little mining for nostalgia, Mitsubishi Motors could build a lineup that buyers line up for. Talk dirty to me, Mitsubishi-san. These days, Mitsubishi's slogan in North America should be "Slow Credit? No Credit? No Problem!" Their lineup has become so banal that they are forced to drop free money on the hood of every model. In the US, they are offering 0% financing for 72 months for the 2017 Outlander. In Canada, the sales slogan on their website is "THERE'S A REBATE FOR THAT". Not exactly a great brand identity. Mitsubishi Motors began life in 1917 with the production of the Model A, which was based on the Fiat Tipo 3 town car. Built under license from Fiat by the Mitsubishi Shipbuilding Company, It was the first series-production automobile to be built in Japan. Production ended in 1921 with just 22 units built because the luxurious Model A proved too expensive to build. Mitsubishi's next foray into passenger vehicles was in 1960. Mitsubishi Motor Company, as we know it today, was formed in 1970 as a wholly-owned subsidiary of Mitsubishi Heavy Industries. Chrysler Corporation purchased a 15% stake in the company in 1971 and began importing the Galant sedan into the US as the Dodge Colt. Mitsubishi entered the US market itself in 1982 with the Tredia sedan, Cordia hatchback, and Starion sports car. Over the ensuing thirty-five years, Mitsubishi has had intermittent success in the US market and is currently experiencing a slow recovery as economic conditions continue to improve. In 1985, Mitsubishi and Chrysler Corporation entered into a 50/50 joint venture known as Diamond Star Motors. After a controversial bid process, Diamond-Star built a 1.9 million square foot plant in Normal, Illinois, capable of producing 240,000 cars annually. 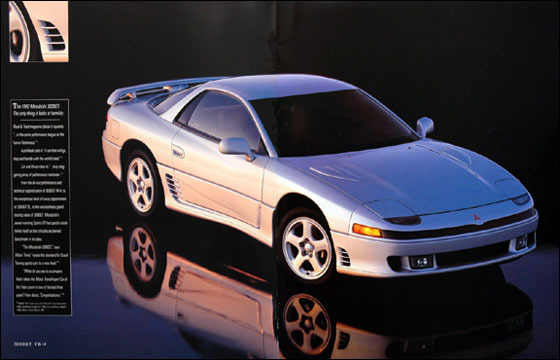 Diamond-Star produced the Mitsubishi Eclipse (also known as the Plymouth Laser and Eagle Talon) until 1991, when Mitsubishi purchased Chrysler's interest in Diamond-Star. Chrysler sold its remaining equity stake in Mitsubishi in 1993, and Diamond Star Motors was renamed Mitsubishi Motor Manufacturing of America. The Normal, Illinois facility produced the Galant sedan, Eclipse coupe, and Endeavor crossover until 2012, when production switched to the Outlander Sport (RVR in Canada). By 2014, the plant produced only 69,000 cars, and the decision was made to end North American production. Mitsubishi Motors has been making automobiles for 100 years, and in that time has expanded to build, assemble, or sell vehicles in 160 countries worldwide. The acquisition by Nissan Motor Company in 2016 of a 34% controlling interest in the company and its absorption into the Nissan-Renault Alliance gives Mitsubishi access to additional research and development resources as well as economies of scale through platform and component sharing. 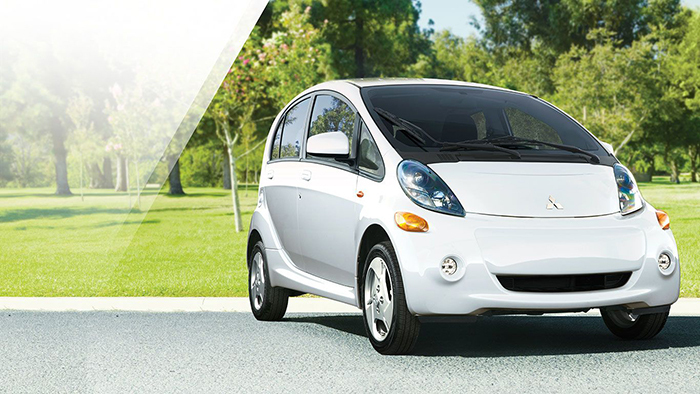 Mitsubishi was an early entrant into the EV market in 2009 with its i-MiEV, so it is theoretically positioned well to continue advancement in this area. Mitsubishi could leverage its existing joint venture with battery maker GS Yuasa as well as Nissan's joint venture with NEC and Renault's relationship with LG Chem. LG Chem also produces the battery found in the Chevy Bolt, which is widely regarded as a tipping-point vehicle that will stoke the uptake of EV's in the mainstream market. Mitsubishi also has a host of well-established, highly regarded nameplates which recall past sales success, enthusiast following, and motorsport championships. Mitsubishi never fully recovered from the economic downturn in Japan which lasted from 1991-2001. This was compounded by the expensive failure of Mitsubishi Motors Credit of America's "0-0-0" (Zero down payment, 0% interest, zero payments for 12 months) financing scheme which resulted in a $454 million loss in 2003 as many high-risk buyers defaulted at the end of the 12 month promotion. Following the dissolution in 1993 of Diamond-Star Motors, its joint-venture with Chrysler, Mitsubishi has struggled to produce relevant and successful models for the North American Market. North American Sales plummeted from about 314,000 in 2000 to just under 60,000 in 2009. Sales have recovered somewhat to about 118,000 units in 2016. Lackluster sales forced the closure of its manufacturing facility in Normal, Illinois in November 2015. The plant was purchased by electric car startup Rivian Motors in January 2017, so new manufacturing facilities would need to be developed in order to resume manufacturing stateside. There are optics problems, too. Mitsubishi struggles to shed the perception that it makes substandard cars for people with bad credit. Its reputation was further tarnished by the 2016 revelation that the company had been inaccurately testing and reporting fuel economy figures for 25 years, including several micro car models it produced for Nissan. The brilliant 1988 Galant VR-4: A Turbocharged sports sedan with All-Wheel-Drive and All-Wheel-Steering. Mitsubishi's greatest opportunity (and chance for survival in the North American market) is to reinvent itself as a modern mobility company by becoming the first mainstream manufacturer to offer only plug-in hybrid (PHEV) and pure electric vehicles (EV). Automakers are now scrambling to catch up with newcomers such as Tesla, but none has committed to offering battery power as standard equipment across the line. They have already beaten the competition to market with the Outlander PHEV Crossover, and shown a new 3-motor + 1 engine PHEV drivetrain in the GT-PHEV concept that debuted in Paris in 2016. A strong lineup of battery-powered cars and CUVs would also serve Mitsubishi well in the booming Chinese market, where the demand for electrified cars is even stronger. Mitsubishi could also piggyback on Nissan's autonomous vehicle program, which is advancing quickly to provide driverless taxicabs for Tokyo's 2020 Olympic Games. With regard to manufacturing in the United States, Mitsubishi's additional volume could justify the development of joint Nissan-Mitsubishi manufacturing to alleviate Nissan's CUV supply shortages. The Trump Administration has pledged to create additional American manufacturing jobs, so there could be incentives to build capacity. Mitsubishi's threats come largely from within its own tent. The biggest threat is Nissan, the controlling shareholder. Nissan is working to promote its own growth in the North American market, and may not want to encourage a stronger showing by Mitsubishi at its own expense. The other major threat is Mitsubishi's own design department, which produces one styling disaster after the next, without any order, purpose, or consistency to the lineup. Every Mitsubishi design seems to be lost in translation. The latest Mitsubishi concept crossover, the GT-PHEV, meant to illustrate the company's future design direction, is an overwrought mess that will surely end up confusing, ugly, and dull once the accountants have their way with it. It doesn't actually look bad in photographs, but in person it is ungainly and overwrought. Mitsubishi Motors brings mobility into the 21st century by introducing the first full line of exclusively plug-in hybrid and electric vehicles from a mainstream automaker. Mitsubishi blends purity of form, driving enjoyment, and user-friendly automation for a modern driving experience. Proposed Design Ethos: "Seductive Minimalism"
Mitsubishi creates timeless, iconic design by presenting purposeful forms with minimal adornment. In a world where other cars shout for attention, a Mitsubishi seduces silently. The decision to choose Mitsubishi becomes emotional, not incentive-driven. California-based automotive designer Bryan S. Thompson, a passionate collector of 1980's Japanese cars and designer of Nissan commercial vans, should be considered to lead the design department. His American perspective on Japanese design positions him uniquely to revive these iconic nameplates for the North American market. The ideal Mitsubishi line consists of up to twenty models in hot segments across seven well-established nameplates: Lancer, Outlander, Pajero, Montero, Galant, Eclipse, and 3000GT. I've noted opportunities for possible codevelopment with Nissan models to reduce overall cost. Compact Sedan and Hatchback with superb driving dynamics. Components may be shared with Nissan Sentra. Cleverly packaged, fun-to-drive crossover, componentry shared with Lancer and Nissan Juke. Outlander Sport: 5-Door PHEV crossover redesigned and downsized to compete with Mazda CX3, Honda HRV, Jeep Renegade, and Kia Soul. Pajero Sport EV: 2-door soft-top Full-EV off-road vehicle, incomparable off-road capability due to low center of gravity. Pajero Max: PHEV midsize pickup to compete with Ford Ranger, Chevrolet Colorado, Toyota Tacoma. Name is a nod to the Mighty Max pickup of the 80s. Sleek, perfectly balanced sports car with timeless wedge styling inspired by sports cars of the 70s. Co-developed with next generation Nissan Z-car. PHEV variation on GTR mechanicals with elegant styling inspired by 60s Japanese GT cars. "Halo car" to compete with upcoming Toyota Supra. Mitsubishi needs an edge. Although their current line makes it seem like the cupboards are bare, there's a wealth of venerable nameplates and competitive technology already in place that could reverse Mitsubishi's fortunes if employed properly. By taking full advantage of its own resources and the backing of the Nissan-Renault partnership, Mitsubishi could get ahead of the curve in a rapidly changing industry.